Libra with Sagittarius will make a successful alliance, which will be comfortable for each of them. The stars endowed them with a similar worldview and aspirations. Both value freedom and independence, they seek to find their place under the sun. Their elements — air and fire respectively — are friendly, and therefore favorably combined. These natural elements are considered active, which undoubtedly affects the character of the signs that belong to them. Only Libra tries to maintain balance, and Sagittarius is often reckless. Libra is led by the goddess of love and creation — the sensual Venus. She makes her wards soft, kind-hearted and sympathetic. As a rule, these are charming, outwardly attractive people, achieving their goals through a charming smile and diplomacy. Sagittarians are also good, but rare truths and therefore may inadvertently offend their own frankness. They are controlled by Jupiter, which gives them a lot of energy and luck. Both signs can rightly be considered lucky, since fortune is always on their side: luck accompanies them literally in everything. Compatibility of Libra and Sagittarius is considered astrologers favorable. They love everything new and can not tolerate boring and monotonous life. They like exotic travel, incredible adventures and dating interesting people. Often together, they fall into various adventures, which carry a lot of emotions and vivid impressions. They are people of society, but at the same time they are striving for freedom from it: to be together, but at the same time to remain independent. Inconsistency is the hallmark of each of them. 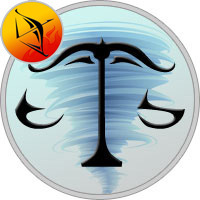 In Libra, it is more expressed and connected with indecision: they are constantly rushing about in doubt, which decision will be most effective. They are far-sighted, they know how to anticipate various situations, but they are afraid to make the wrong choice. In fact, this happens in the following way: first they think one thing, then another, and act quite differently. The inconstancy of Sagittarius is a consequence of their excessive impulsiveness. Their actions are often unpredictable for others. On emotions, the fire element can flare up, perform something of that sort, and then return back to the judicious state of mind. The Horoscope of Libra compatibility with Sagittarius is successful, because they perfectly understand each other in their aspirations and even support. Both are great dreamers and dreamers. Despite the optimism inherent in them, they can get discouraged by the fact that everything goes not according to plan. But this state for both does not last long and, gaining strength, they again go on conquest of new peaks. Compatibility of Libra and Sagittarius in the work is at a high level. They are perfect for those activities where they can feel needed. Most often, these are areas related to helping people and requiring a high proportion of altruism. Also, they work well if the case requires a creative approach. Friction can arise because of the emotionality of both and the inconsistency of Sagittarius. They do not recommend work that requires long-term concentration and high responsibility. Compatibility of Libra with Sagittarius in friendship is also successful. They are endowed with good intellectual data and are comprehensively developed. They will always have a sea of common hobbies, none can sit still for a long time and therefore is in an active search for something new and interesting. Conflicts in their pair are possible, but friends simply do not know how to take offense long: bored with each other — be sure to reconcile. They feel each other at a deep level and at any time are ready to provide mutual support. Romantic relationship with this couple fastened quickly. Sagittarius attracts the elegance and openness of Libra. And the air sign appreciates the partner’s lightness and cheerfulness. The good compatibility of Libra and Sagittarius in love promises them an interesting and vivid relationship. Two creative people appreciate each other’s free thinking and romanticism. Over time, their tandem will be designated as an unspoken leader. And it will be Libra: in spite of the fact that they are as emotional as a partner, their nature strives for balance and balance. Therefore, if the air element becomes at the helm, their joint ship will less swing on the waves of life. Difficulties in communication will also be. The sign of fire can be occasionally angry about the indecisiveness and doubts of the partner, as well as the frequent change in his moods. But at the same time, Sagittarius likes the wisdom, wisdom and calmness of Libra. The compatibility of Libra with Sagittarius in the relationship is successful, thanks to the fact that the interaction of fire and air makes the flame glow brighter. And that their union does not wither and not break up, they need to give the beloved the proper space and freedom of manifestations. Then, achieving personal results, each of them automatically advances the other. Thus, both grow and develop. It is the process of mutual development that preserves the zest of their tandem, interest in each other, thanks to which the partners stay together for a long time. Sexual life of this couple, as a rule, is an occasion for envy of other people. Compatibility of Libra and Sagittarius in bed is in balance: obsequious, pliable air element tends to give, satisfy, seduce a partner. A selfish sign of fire wants to take, receive and receive. Signs are creative individuals with a rich imagination: their passion for everything new contributes to a variety of intimate life. Both gush forth with suggestions about sexual experiments and support each other in this. In their bedroom is always hot, because lovers know how to leave all the problems behind her door. Sagittarius is a persistent and skillful lover, he brings energy and excitement to the bed. The Libra play the role of a muse, which stimulates the excitement of both. The leader under the blanket in their pair is not: they can constantly transfer the reins of government to another, depending on the rules of sexual games. Physical attraction is present in their pair for a long time and does not come to naught. The successful compatibility of Libra with Sagittarius in marriage is provided by the stars themselves. If the couple has love, then the couple are not afraid of any barriers in the form of friction and quarrels: small differences they can quickly eliminate and agree on the distribution of roles. In their family it does not matter who will bring more money - a man or a woman. This aspect is not so significant, because for them the most important is their spiritual and physical comfort. And if your wife gets to earn three times more, it will not embarrass anyone. They like to live beautifully and satisfying, that’s why they often drain money to the wind to the last coin and do not have stocks for a rainy day. For them, life is now and now. They are sociable and therefore have many friends. Spouses can be engaged in both individual and joint projects, bringing not only finance, but primarily fun. They often travel and rarely sit at home. Sometimes Sagittarius can be extremely critical and express their disagreement in something very directly. This will offend the vulnerable Libra, create tension between them. But over time, the couple will get used to the characteristics of each other, reducing misunderstandings between them to zero. Thus, the compatibility of Libra and Sagittarius in family life is very high and contributes to a long and happy relationship.